At Craigburn Primary in the years 5 to 7 Middle School Unit we have developed ‘The Green Team’. 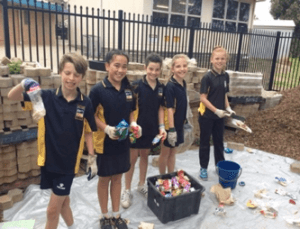 Our focus is on tackling waste management within our school, looking at recycling, composting and ultimately reducing our waste footprint. 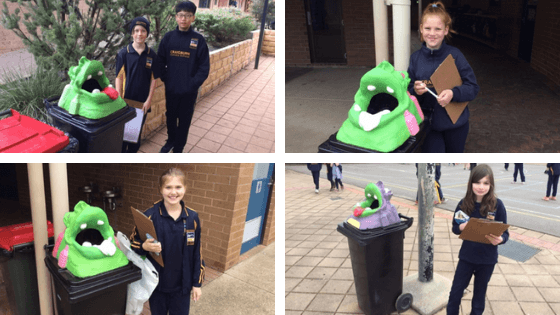 The Green Team students in Mrs Bellette’s class have been investigating how the Munchie Monster 10c recycling bins are being used in the school. We spent a week observing and recording data about our Munchie Monster habits. 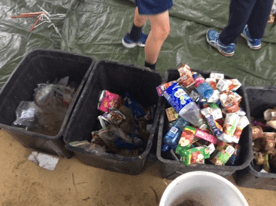 When we analysed the data we found lots of ways we could improve the use of the Munchie Monster bins and increase our ability to raise money while taking care of our environment. 22 10c recyclables were collected over a week from all the Munchie Monster bins in the school. 15 of those could not be claimed due to straws and juice being left on and in the containers. 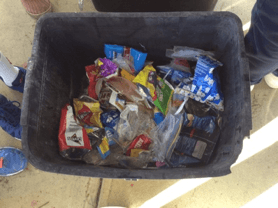 The age of most of the students that used the Munchie Monster bins were from Year 1 to year 5. A few students showed that they did not take the idea of the Munchie Monster bins seriously despite encouragement to use them the right way. A big percent of what was being put in the Munchie Monster bins was not 10c recyclables. One of our Green Team groups conduct a Munchie Monster audit and sort through the bins every week. They are keeping tally of the 10c recyclables and any rubbish that is being put in the bin that should not be. When they sort through the Munchie Monster bins the majority of the waste is not 10c recyclables. By analysing this data the students have identified some habits that we need to change in our school. 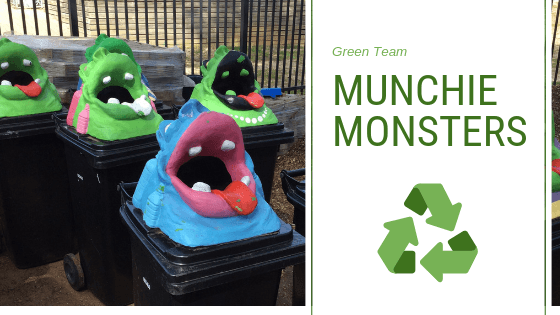 Our D18 Green Team is working hard to improve the use of the 10c recyclable bins, so look out for lots of Munchie Monster action this term. Are you involved in the School Run4Fun fundraising? ?